This interview was conducted by Rudina HOXHA (journalist) and Endri MATAJ (organized of Startup Grind Tirana) on behalf of Baybars Altuntas presence at Startup Grind Tirana event on May 26th, 2015 in Tirana, Albania. The interview was originally published at Business Magazine Albania and Info Albania, the first magazine in Albania dedicated to entrepreneurship and new businesses. Invest in Albania obtains all the rights to translate and republish this interview at invest-in-albania.org under the copyright of Info Albania. You have visited Albania previously. What makes you return here again? Do you see any potential in terms of entrepreneurship? Albania is one of the most promising developing countries in terms of entrepreneurship and startups in the Southeast Europe. The population is young and well educated. It is situated near to Italy and has a very important economy. In Albania, there are several universities that offer quality education for the new generation. 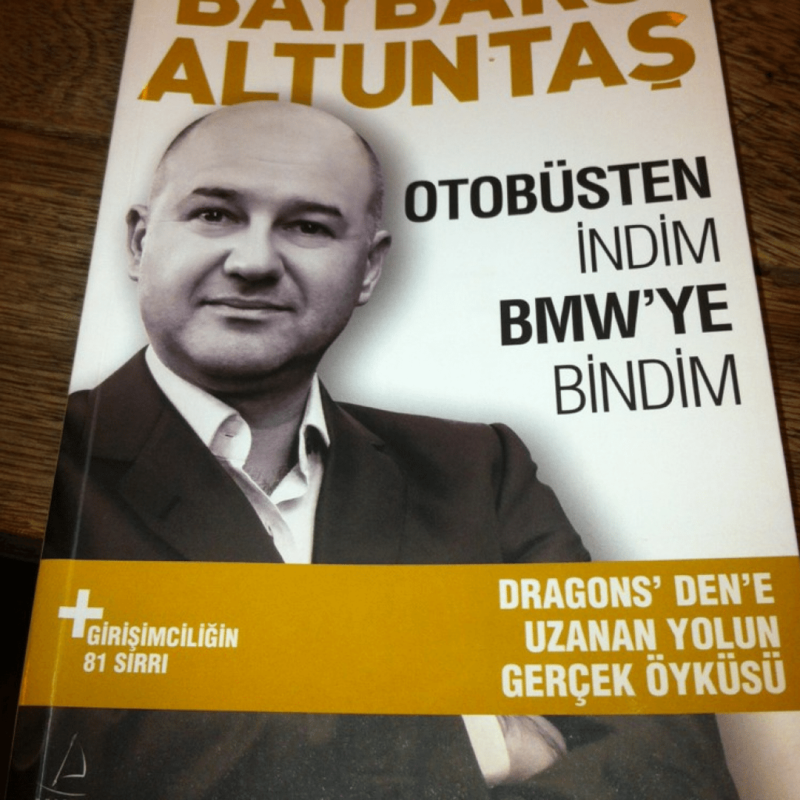 When the Albanian version of my book “Off to buss, into a BMW” was issued in Tirana, it became a bestseller and people started emailing me, mostly entrepreneurs. From what they wrote to me, I became aware of the potential of entrepreneurs in Albania, which do not have many opportunities to implement their business ideas due to a lack of angel investors in the country. Anywhere across Europe, angel investors are seeking to invest in good business ideas and to help successful young entrepreneurs. Unfortunately, Albania is the only country in the Southeast Europe without an angel investors’ network. This is one of the reasons I decided to connect with my Albanian readers and entrepreneurs by organizing a delegation of investments. What lessons from your experience can share with Albanian young entrepreneurs? First off, entrepreneurs must understand the difference between wannapreneurship and entrepreneurship. Wannapreneurship comes before entrepreneurship but ‘wannapreneurship’ itself does not mean anything without taking a step forward towards the entrepreneurship phase. Second, they need to know the difference between invention and innovation. An invention which does not sell, entrepreneurs will never be able to deposit money in their bank accounts. But, if they are able to sell their inventions they transform into innovators and this can lead them into the entrepreneurship phase and wealth. Third, I would want to bring to attention the important change between the increase of the number of investors and the increase of investments. In most of cases, entrepreneurs and startups try to increase their investment funds when in fact they need investors which can become their mentors and offer to them know-how practices and networking opportunities. Fourth, inexperienced young entrepreneurs must pay attention to choose the right investor and the right team and vice versa, investors must choose startups which have the most feasible and profitable business ideas. Last but not the least, I would like to say that entrepreneurship is a craft that needs to develop: how to convert an unexploited capacity in order to generate financing for potential businesses. How do you predict the future of startups in Balkan? How far can a new startup go at a time when many international markets are corrupted? I would like to use the term “Southeast Europe” instead of “Balkan” because most of Balkan countries are candidates or European Union members and legitimately they cannot be separated by the development of the European ecosystem of entrepreneurs. On May 7th, in the EBAN Congress in Eindhoven I moderated a panel which discussed on the development of entrepreneurship ecosystems in Southeast Europe with speakers from Kosovo, Macedonia, Greece and Montenegro. All the speakers agreed on the importance of education about free entrepreneurship which was defined by the speakers as key to connect the entrepreneurs of a certain region with the international markets of startups. As for the corruption issue, I think the new generation will be the one to find the solution for this challenge, only if they develop the needed entrepreneurial skills and a global mentality. Which are the main skills a successful entrepreneur should have? They must be able to spot the real opportunities, not only to know about them. The “smart eyes” are very important for an entrepreneur. They must be good listeners and to distinguish among others, to be able to make the difference between constructive critics and useless ones. They need to have “smart” ears. They must be able to “smell” where the money is before they establish a business. In this regard, entrepreneurs need to have a “smart” smell. Can you explain the core of “The map to success: Your rise to entrepreneurship” system created by you? In this system, I have submitted the key details of every step of an entrepreneur’s journey. I have categorized all the needed steps an entrepreneur should take since the start to the finish of the process. I refer to these steps as “the map that leads you towards a successful entrepreneurship”. I have lectured hundreds of times on this theme throughout the world. This map has been designed for known entrepreneurs throughout the world is being used in seminars and training programs in universities. The essence of this system displays a different manner of doing business which is known as “Altuntas Applied Theory: CICIC – Converting Idle Capacity into Cash”. I am satisfied that I am not just a model for entrepreneurs but also a source of inspiration for academics which study and invent unique and profitable methods for entrepreneurs. In my opinion, the journey towards entrepreneurship is similar to the four seasons of a year. The first season is the level of wannapreneurship. The second season is the phase of starting an enterprise. This phase has three important sub-categories: innovation, entrepreneurship and marketing (sales). The third season is the phase of development which includes branding, institutionalization and franchising. Last, the fourth season is the phase of maturing: leadership and angel investment. In the absence of an angel investors’ network, I encourage entrepreneurs to become their own angel investors by applying the CICIC technique. What they should do is to apply this technique and start their business and then they should follow the map towards a successful entrepreneurship. The combination of these unique systems is called Altuntas Principle of Doing Business from Scratch. 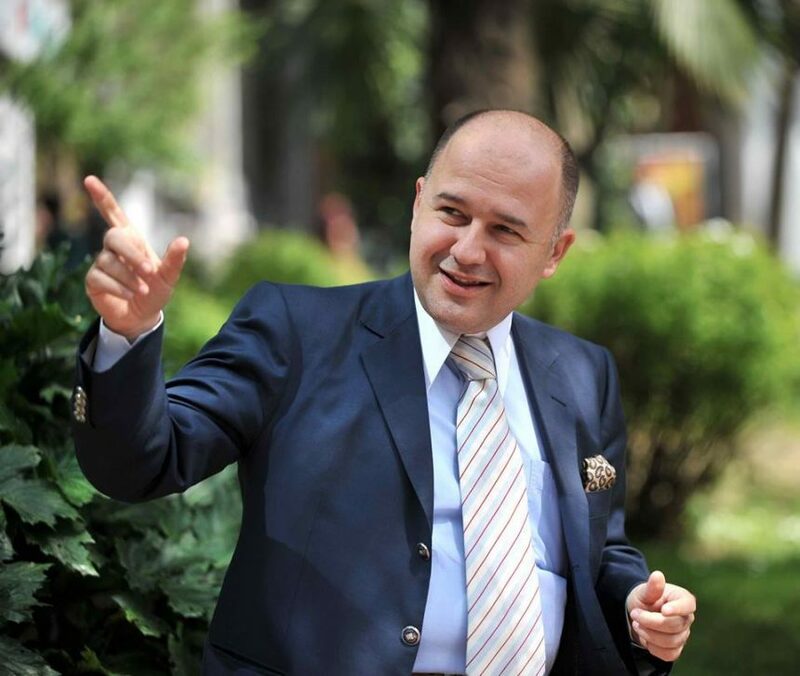 You are the pioneer of franchising system in Turkey and in Balkan countries. Do you think Albania and Balkan countries in general have demonstrated sufficient willingness indicators to apply franchising? When I presented the franchising system in Turkey in 1990, the market was characterized by an interesting paradox: When you used to visit a known kebab restaurant in Turkey, you would see in the entrance a note which said: “We do not have other branches in any other country.” And this entrepreneur was proud of this. Although, when McDonald’s opened the first branch in Turkey, they were proud of opening their 5000th restaurant in the world. This way, I saw what McDonald’s did to expand their business and I started to launch my initiatives in order to raise awareness on the pros and cons of franchising system in Turkey’s economy. I believe that with a re-projected mentality, entrepreneurs of Albania and Southeast Europe will start considering the franchising system as an opportunity to strengthen their local economies and expand their business globally. I think every country has unique products to share with the rest of the world. Even if they are not ready yet, they can be ready to launch – and Albania and Southeast Europe are part of this panorama. Why people still continue to read your bestseller “Off to bus, into a BMW”? As the son of a teacher and a retired military officer, never in my wildest dreams I have dreamt of that the company I started with no capital would become a multi millionaire dollars business. Or that the President of the United States of America – in the land of free entrepreneurs – would invite me in the White House to speak about free entrepreneurship or that the Prime Minister of Turkey, leader of the 16th most developed economy in the world, would give me a letter to personally deliver it to President Barack Obama. I have never imagined that one day I would be featured in CNN International broadcaster to comment the Washington Summit organized by President Obama. Or that I would be one of the 110 Dragons in 22 countries in the most important show about entrepreneurship, Dragons’ Den. I had no money, no one to help me or support me in my beginnings but all these things happened. I truly believe that our beautiful world is the one where dreams are able to turn into reality as long as we work to realize them. I wish everyone to be able to see the world in the same optimistic prism as I do, so they can see a bigger picture in the same frame. If the son of a teacher and a retired military officer achieved such success, I am sure that even you can do it, maybe easier than I did. At last, I want to say that if I did it, you can too! And the list of to-do things, issued in my book, is an excellent reason for continuing to read my advices.